The exotic car show raises important funds for a diabetes cure. The Gold Coast Concours/Bimmerstock Car Show. 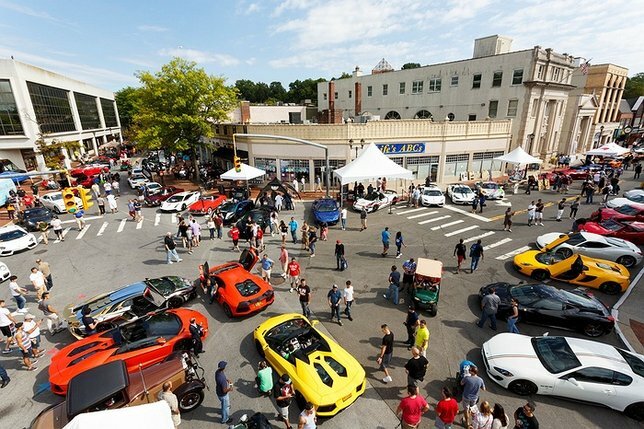 Lamborghinis, Ferraris, Roll Royces, Porsches, customized BMWs and so many more exotic and rare vehicles will decorate Downtown Glen Cove at the 8th annual Gold Coast Concours / Bimmerstock produced by Martino Auto Concepts/MAC Auto Couture and benefiting the Diabetes Research Institute (DRI) on Sunday, September 18, 2016. Free to spectators of all ages, this event will give an up close look at more than 700 one-of-a-kind supercars, brought in by car buffs from all over Long Island and New York. While the cars are the highlight of the day, the event will also feature entertainment for the whole family, and live music presented by local bands Matt Grabowski and his Band and The Lazy Dogs. Joe Manfredi from Old Westbury Web Radio will be on hand to MC the event. Plus there will be prize opportunities and plenty of delicious food options – and it’s all to support the Diabetes Research Institute’s mission to cure diabetes. Since its inception, Gold Coast Concours/Bimmerstock has raised more than $400,000 for the research underway at the DRI. Local elected officials Glen Cove Mayor Reginald Spinello, who is serving as event honorary chairman, and Nassau County Legislator Delia DeRiggi-Whitton, a DRI Foundation board and event committee member, will be supporting the event once again. DeRiggi-Whitton’s daughter Amanda, has had type 1 diabetes since she was 3 years old. Event top sponsors to date include: Ai Media Group, Competition BWM of Smithtown, Rallye BMW, BMW/Mini of Freeport, The Experience Auto Group, Long Island Sports Cars, among others. Gold Coast Concours/Bimmerstock will take place 11 AM- 4 PM rain or shine. It is free for spectators. For those wanting to register a car, the fee is $30 in advance and $40 on the day of the event, with proceeds benefiting a diabetes cure. To learn more about the event, sponsorships or to register a vehicle, click here or call 516.822.1700. Subject: LongIsland.com - Your Name sent you Article details of "Downtown Glen Cove Revs Up For Annual Gold Coast Concours/Bimmerstock"